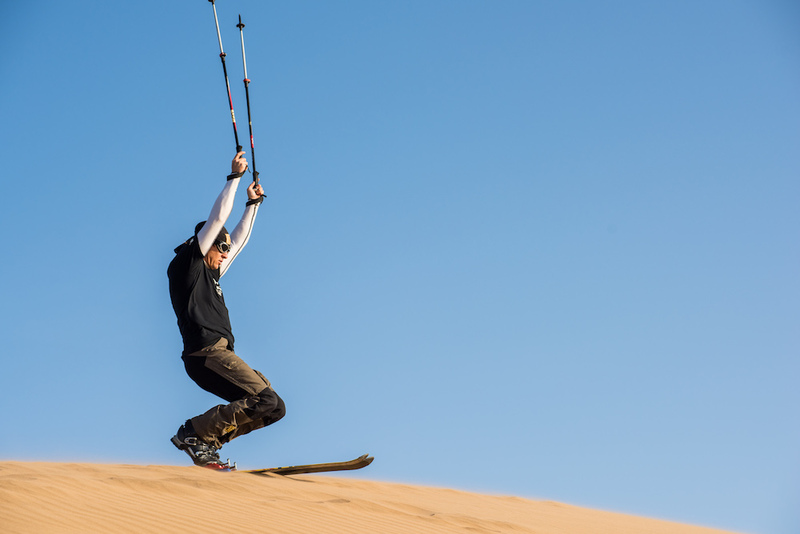 Skiing on different surfaces (snow, ice, water, wet lawn, plastic mats, hoar frost, rubble and sand) has existed for quite a while. 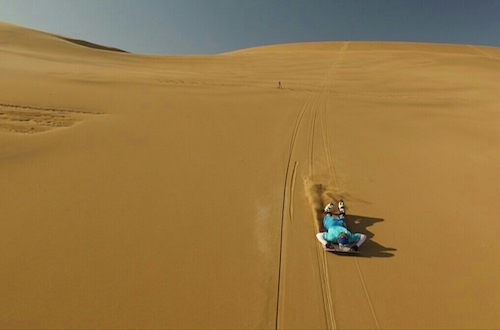 As a former competetive athlete in nordic combination and avid hobby alpine racer I started to use the natural environment - the sand dunes of the Namib Desert. Giant sand mountains like these will surely ecstasize every true skier's heart! 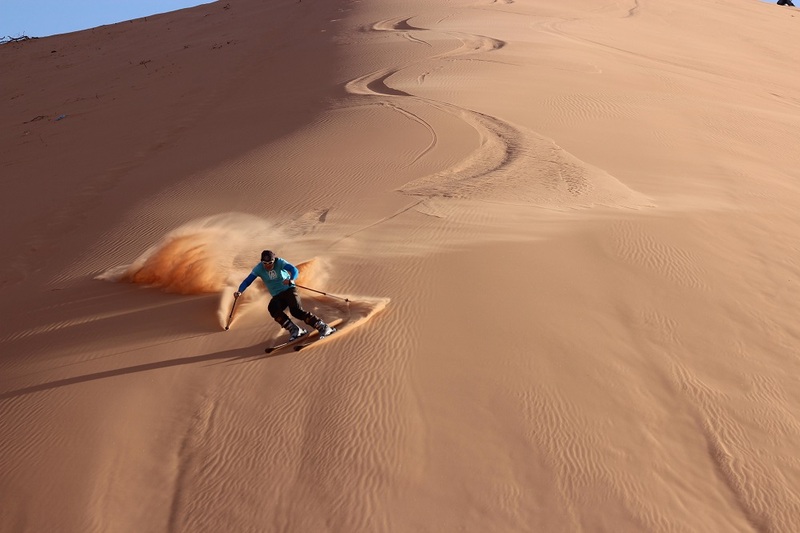 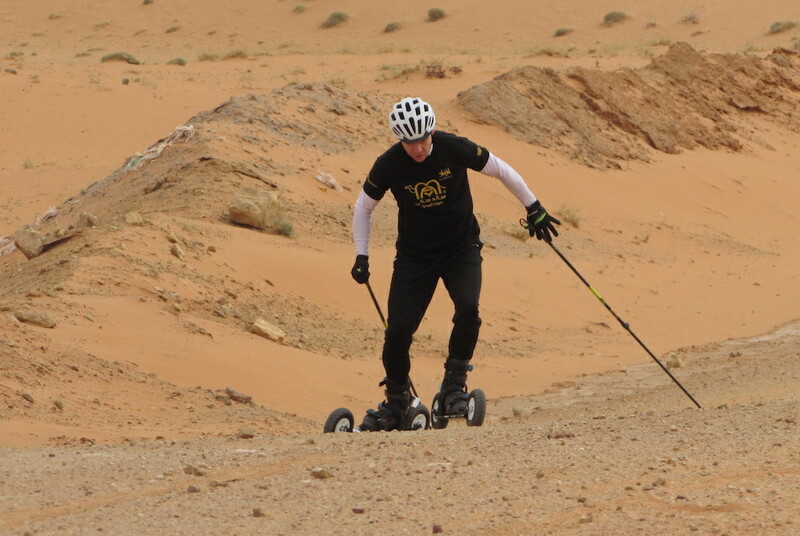 Starting with guided cross-desert tours with brought-along skis from Germany as well as downhill rides at the Namibian coast dunes I soon started to optimize ski equipment for usage in sand. 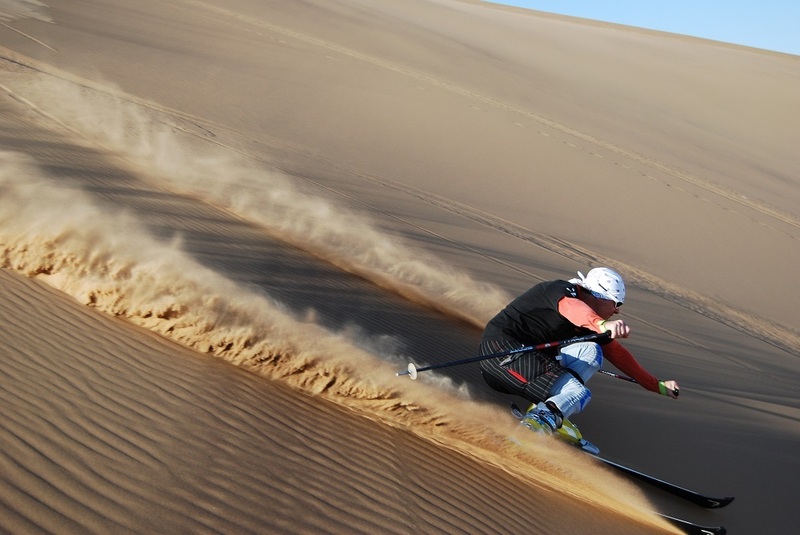 I could achieve remarkable speed improvements through many tests with different ski waxes and adjustments of the binding elements, as well as modifications of the usual alpine technique on snow. 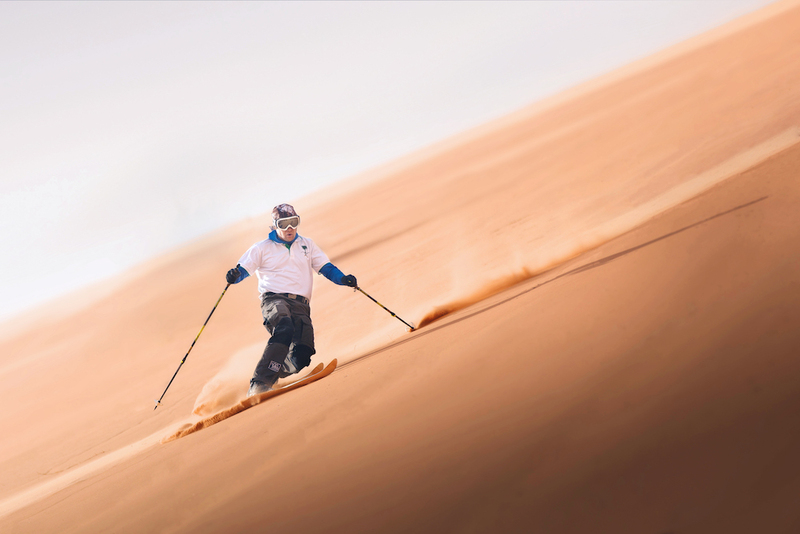 Since 2010 I keep official Guinness Book World Record in Speed Sandskiing. 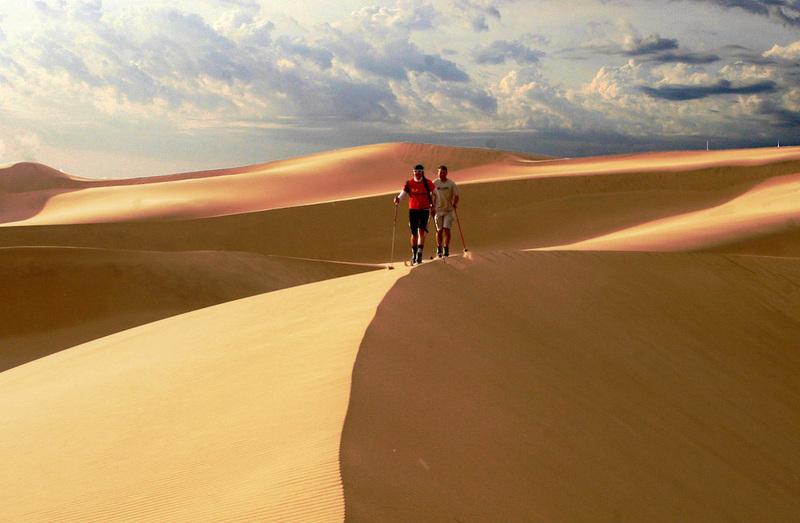 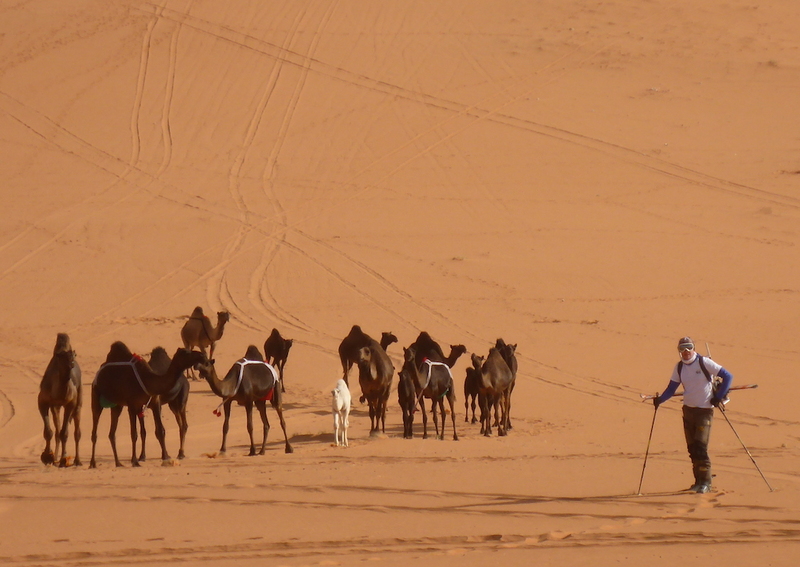 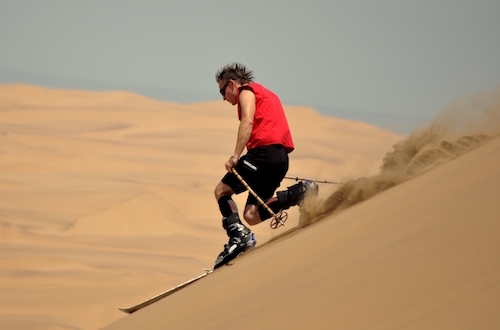 My Adventure of desert ski sports goes on „against all odds". 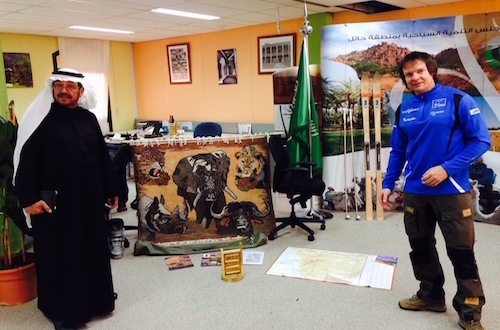 After many years of creating alone ski sports in the far Namib Desert at the west coast of south western Africa, the Kingdom of Saudi Arabia contacted me through Mr. Mubarak F. Alsalamah and Mr. Khalid Saleh Al Saif from the University of Ha’il from SCTA (Saudi Commission for Tourism and Antiquities) in the year 2014 to present my skills and the possibilities of desert ski sports at Ha’il desert Festival and at the Rally of Ha’il. 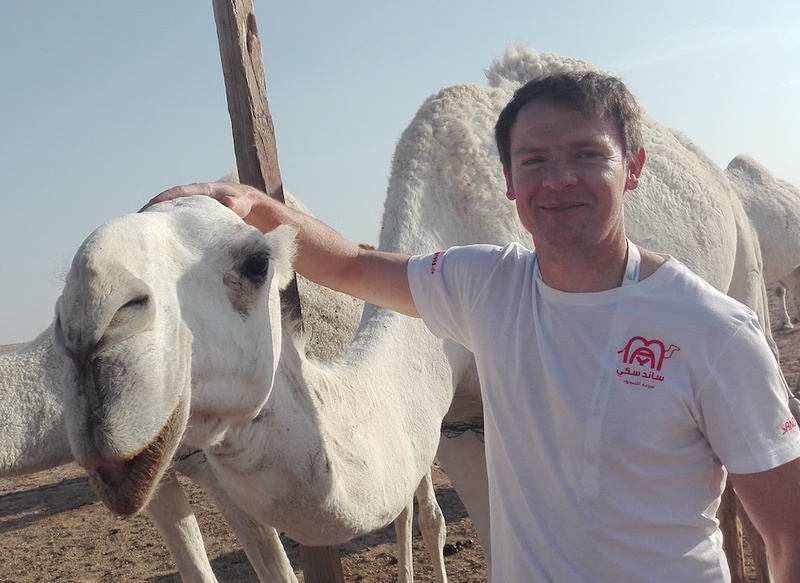 The feedback was unexpected huge and a really nice hospitality and friendliness from the people of Saudi Arabia how they care about my journey accommodation, food and explainment about their culture surprising me very kind never been at middle east countries in my life before. 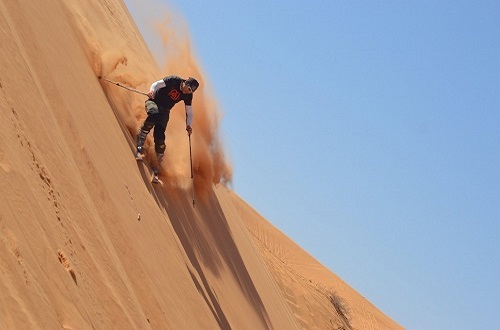 SCTA brought me immediately on stage and try to find an investor with a similar passion and unique vision. 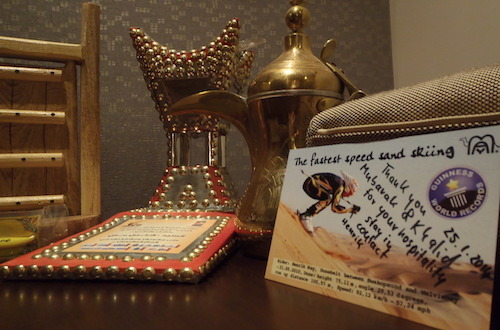 The first Souvenir I brought from the African desert for the start of sand ski sport a golden coloured pair of skis, perfect to document the sandskisport history for example in the first ski or sandsport museum in the Kingdom of Saudi Arabia.